Officers will be stopping cars to check for alcohol or marijuana impairment as well as proper licensing beginning at 11 p.m. and continuing until 3 a.m. Saturday morning. Police did not disclose the location, but said it would be chosen based on previous DUI accidents and arrests. The checkpoints are regularly announced in advance in an effort to prevent impaired driving. 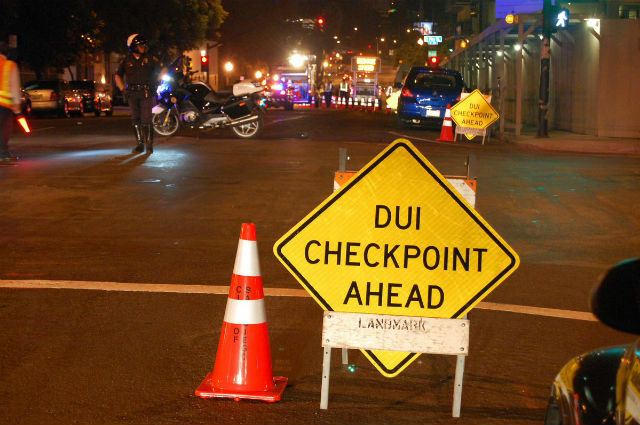 “The deterrent effect of high-visibility enforcement using both DUI checkpoints and DUI saturation patrols has proven to lower the number of persons killed and injured in alcohol or drug impaired crashes,” the department said in a statement. A DUI arrest can result in jail time, fines, fees, DUI classes, license suspensions and other expenses that can exceed $10,000.